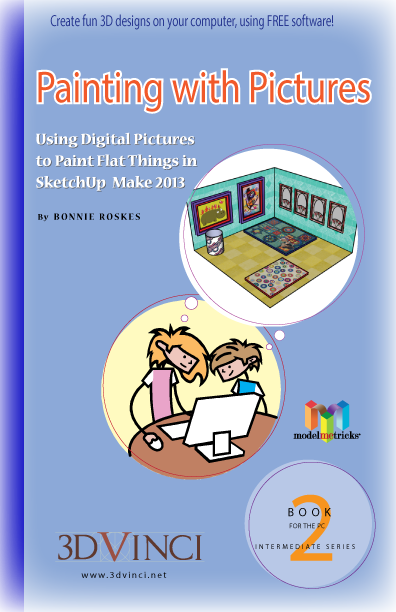 In this second book of the ModelMetricks Intermediate series, you will build a simple room and use digital pictures to paint the walls, rugs, posters, even a trash can. You’ll learn how to position pictures and how to change objects to fit your pictures. You’ll also use a picture to make a 2D component that acts like it’s 3D! All the pictures are ready for you to download and use. View chapter details. Printable PDF format, 8.5" x 11", 117 pages; download info will be sent within one business day.